Come learn about Hailey’s newest neighborhood and what makes it so unique. 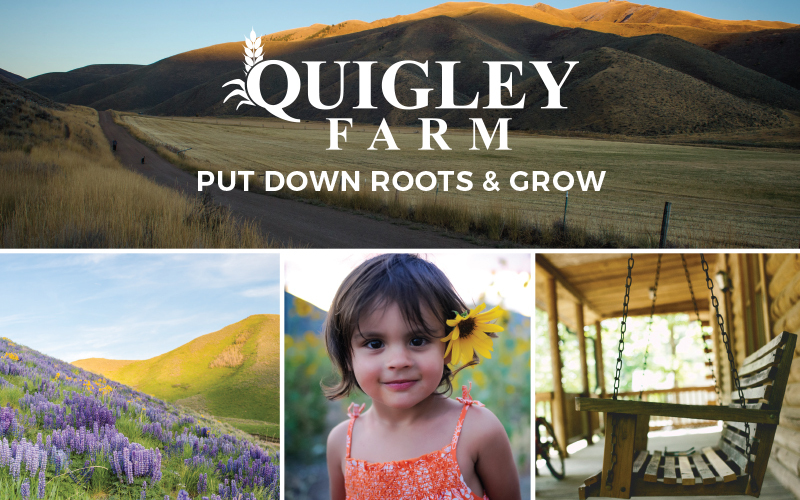 The sales team and local partner organizations —BCRD, Sage School and The Hunger Coalition— will do a short presentation on Quigley Farm plans and answer questions. Refreshments will be served. For more information please contact Eeva Turzian.